The previous theme was fine but it was too corporate for me. 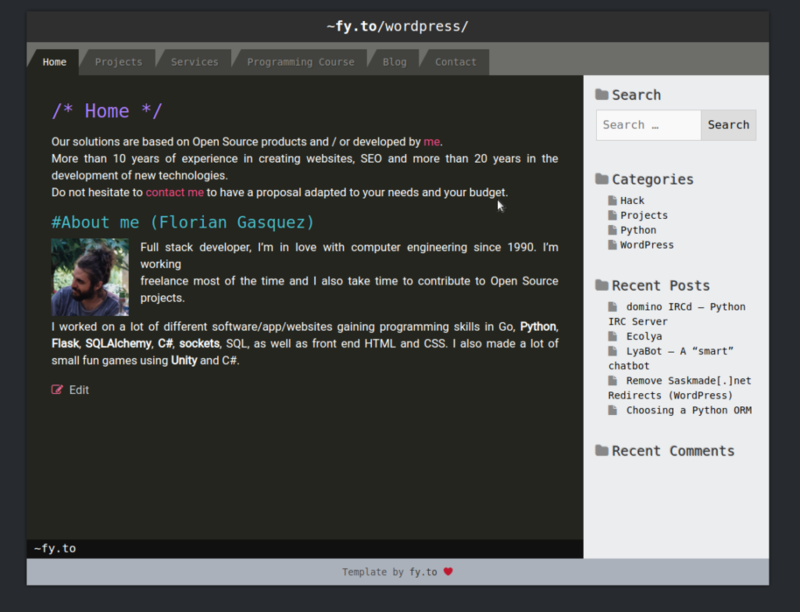 I made this one in two hours and it’s inspired by the Sublime Text UI and the wordpress template Business Point. It’s a simple SEO and mobile friendly dark template. If you’re interested and want to use this theme please leave a comment and I will setup a public repository.